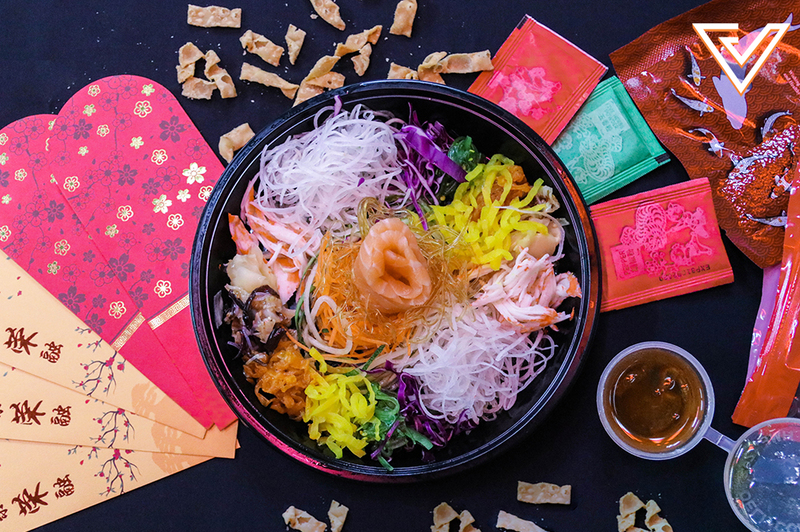 Chinese New Year is coming, so here’re some options of yee sang dishes you can get delivered to you via GrabFood. 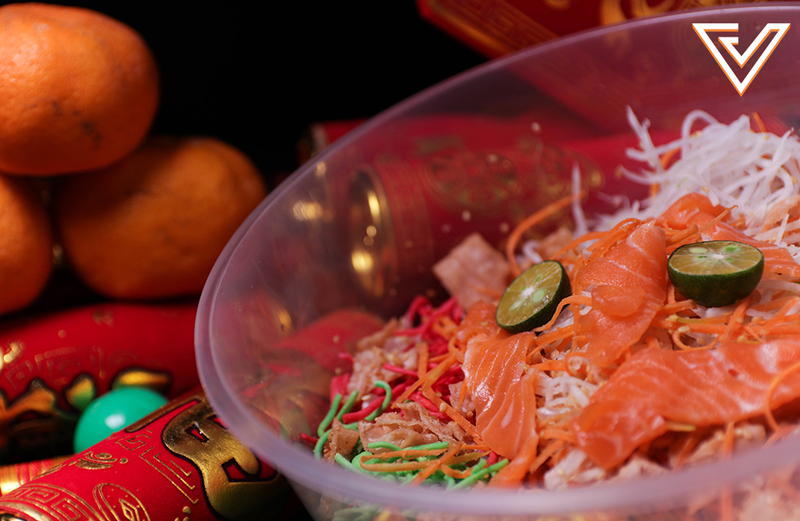 One of the main dishes people look forward to during Chinese New Year (CNY) is yee sang. You’ll see many restaurants out there offering their own renditions of this popular dish, and no reunion dinner is complete without it. Nowadays, instead of lugging it in your car to your relative’s place, you can opt to have it delivered right to your doorstep. One option you can check out is the GrabFood app which now has a special category called “Yee Sang” for you to easily browse choices near you. 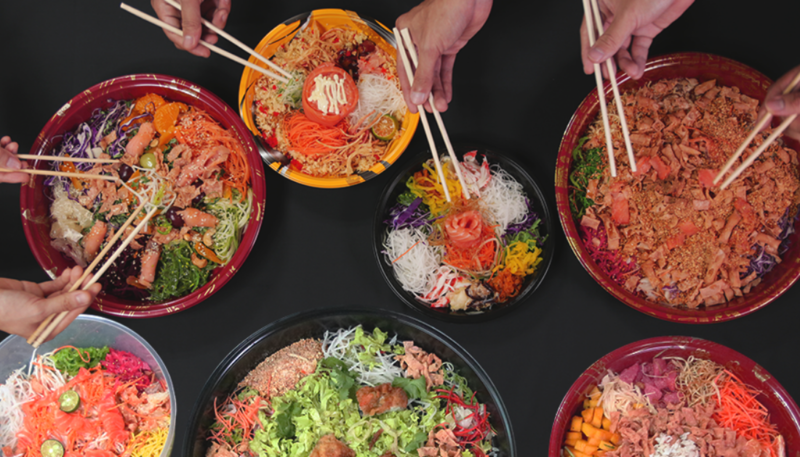 To help you make your choice, we ordered all the current yee sang options found near our area on GrabFood and broke down all the details you need to know about each one. 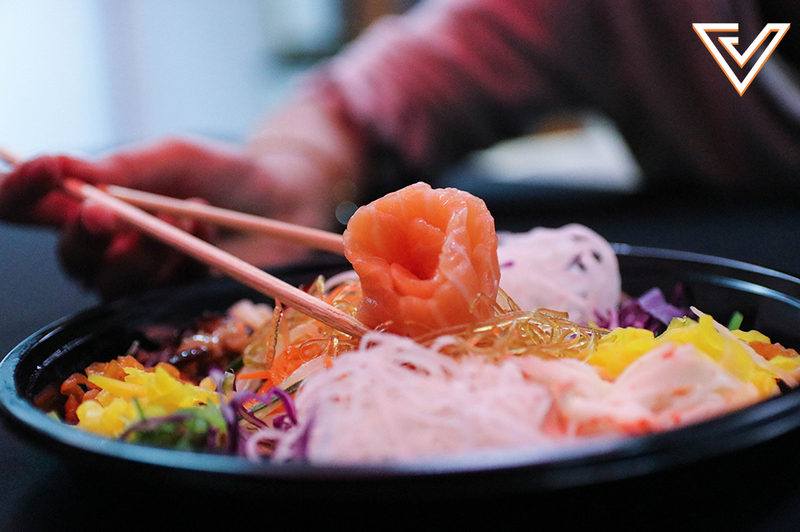 We went for the small Yee Sang option with a Salmon Flower add-on. Sushi King has 2 size options for their yee sang on GrabFood; the small is priced at RM20.77 and the regular which is priced at RM42.77. You can pick between 2 sauce options: mixed sauce or plum sauce. If you’re a salmon fan, you can add on a salmon flower for an extra RM14.17. Another version they have is called the Prosperity Yee Sang that is priced at RM50.47. The dish comes with additional premium prawn and Norwegian salmon slices. By looking at it, you can see the Japanese touches Sushi King added to this dish. The wasabi taste is definitely strong, so it’s good for those who really enjoy that added spice. The tempura chips gave it a crunchy texture, which blended well with the other ingredients. It strays away from the usual yee sang taste most of us are accustomed to, so only go for this if you’re looking for something more adventurous and less traditional. The salmon feels very generous, especially topped up with the Salmon Flower, so this is likely to be a hit with those salmon fishers. What the Esquire Kitchen Special Yee Sang looks like. Esquire Kitchen only has one option on GrabFood, called the Esquire Kitchen Special Yee Sang and it’s not customisable, as far as we can tell. It’s priced at RM78. If you’re looking for a proper authentic and traditional yee sang choice, look no further. This dish came to us in no particular fancy packaging and the overall taste itself was all very standard. The flavours of the ingredients were decent, and it had quite a distinctive peanut taste throughout. Since a yee sang is essentially a salad, this one from Esquire Kitchen leaves all the right notes that you’d be looking for in this auspicious dish—sweet, tangy, savory, and crunchy. This is an option we’d recommend if you’re looking to go the safe route. 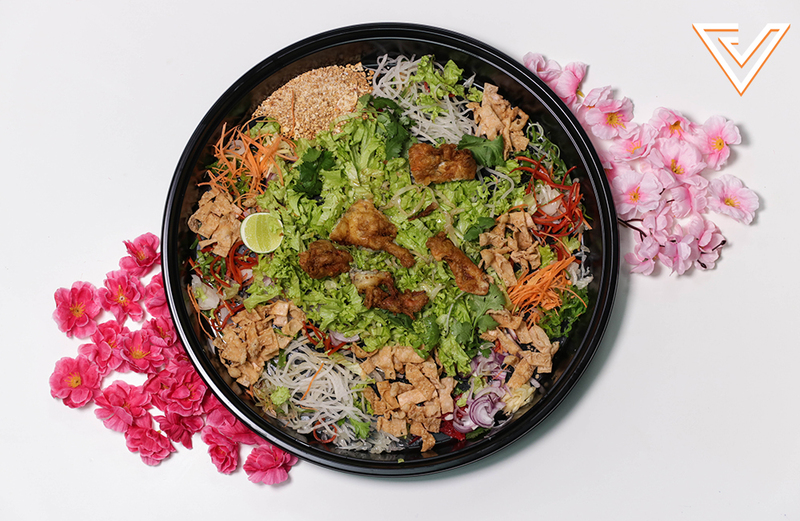 La Juiceria Superfoods has 2 options of yee sang on GrabFood; La Juiceria Superfoods Yee Sang which has smoked salmon and the vegetarian version which comes with more seasonal fruits. Both are priced at RM48 and comes in 2 sizes, with the large costing an additional RM20. This yee sang came with an abundant amount of fruits and nuts alongside the other usual ingredients, which made the taste very fresh and fruity. One of the ingredients that shined was the pomelo as it was the right amount of sour. The smoked salmon also added a salty tang to the whole dish, which could be a great or bad thing depending on your taste. 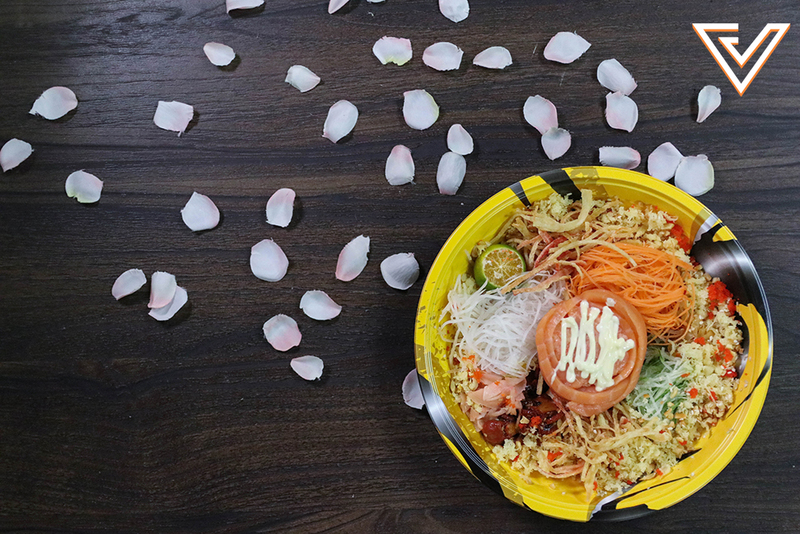 It’s not the typical flavour you’d find, but it doesn’t stray too far away from a traditional good yee sang. If you’re looking for something slightly different, you can opt to go for this. We went for the Success Yee Sang option. 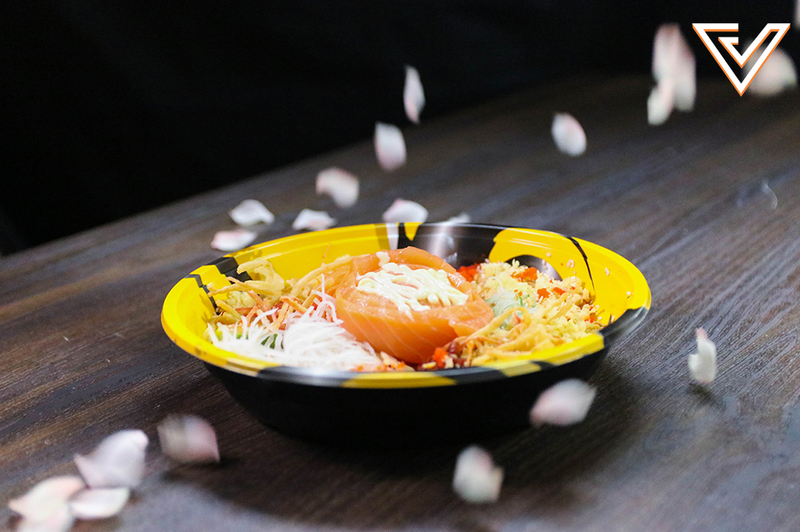 Sakae Sushi’s yee sang came in 2 options; the money yee sang (suitable for 6-8 pax) priced at RM66.88 or the success yee sang (suitable for 2-3 pax) priced at RM32.88. To add salmon, it costs an extra RM10. This is the most customisable choice as you can make it more interesting by adding ingredients such as abalone or chuka hotate for a certain fee. 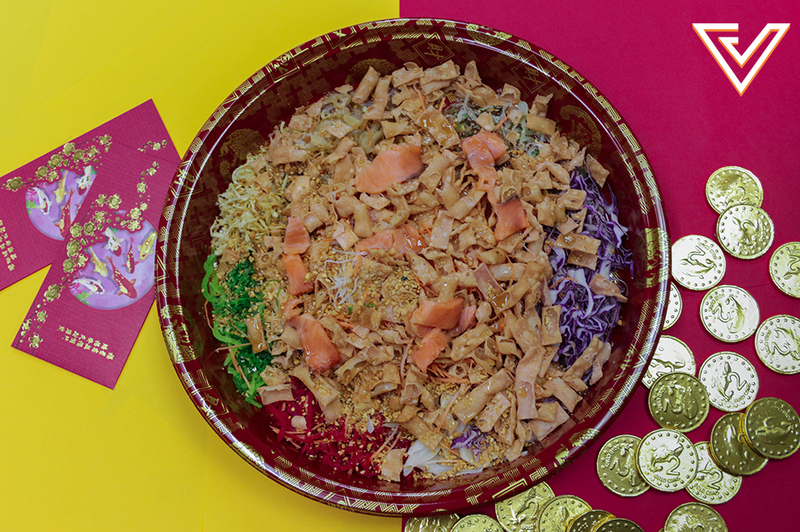 This yee sang came delivered in cute red packaging so we’re giving them extra points for the added effort! Because the ingredients were vacuum packed, the natural taste was preserved well. The citrus-infused sauce was a nice touch and we all enjoyed the wakame seaweed that was included. This is recommended for those who want something more crisp and are on the lookout for yee sang sized perfectly for a small family or group of friends. We got the soft shell crab Yee Sang. Delicious has 3 different yee sang options: smoked salmon (for RM35), soft shell crab or salted egg fish skin (for RM40). All come in two sizes that can feed from 3-8 people for a fee of either RM25 or RM35. When we first saw it, we were concerned with the large amount of cabbage included but it all tasted delicious once it was all mixed together. The overall taste came out very refreshing, and it wasn’t too sweet. The jellyfish that was included made it feel more premium. Along with the soft shell crab, this was a dish that many of us enjoyed, and would love to have more of. We would recommend this if you’re going for a more refreshing yee sang. We got the medium-sized Yee Sang. Mohammad Chow Express offers 2 sizes for their yee sang which can feed from 4-7 people. The medium is priced at RM78 while the large is RM118. 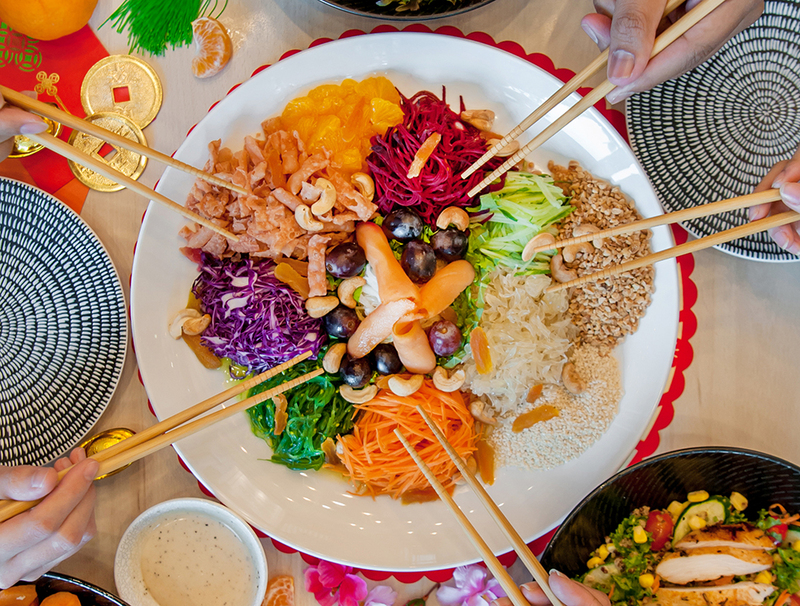 This yee sang came in basic packaging, but all the ingredients came to us in tact. Some of the ingredients did look like they had a lot of colouring and were very bright, which is pleasing on the eye and camera. The texture is more on the crispy side with lots of crispy bits and the sauce is quite sour. 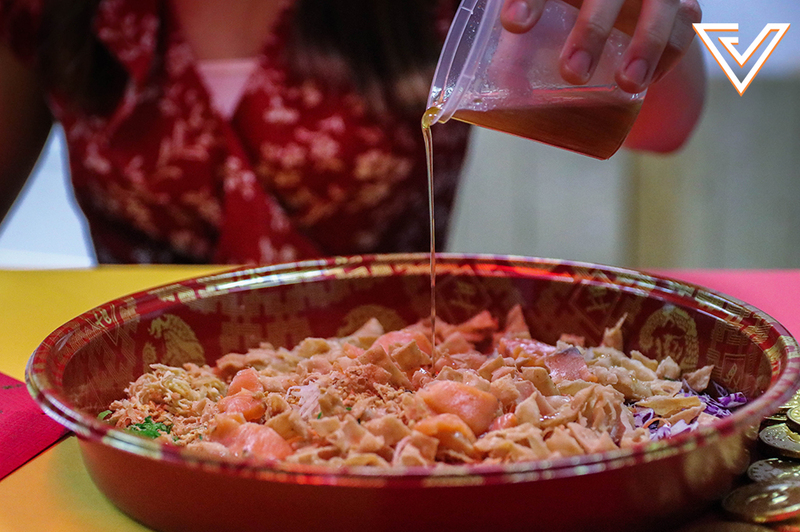 We’d suggest this for those who are looking for a good entry level into yee sang, who might not be too used to stronger tasting Chinese sauces. 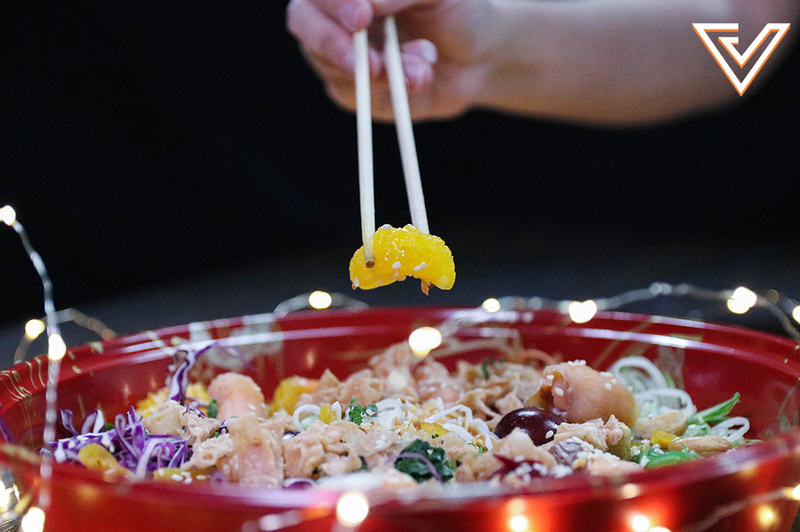 Yee sang is a pretty integral to Chinese New Year, and now that you can have it delivered, it makes things a lot easier so you can focus on really spending time with your loved ones. Protip: You can buy the Prosperity Pack in your Grab app for RM0.88 where you can get RM8 off and free delivery on yee sang orders from GrabFood (min. order of RM40 applies). 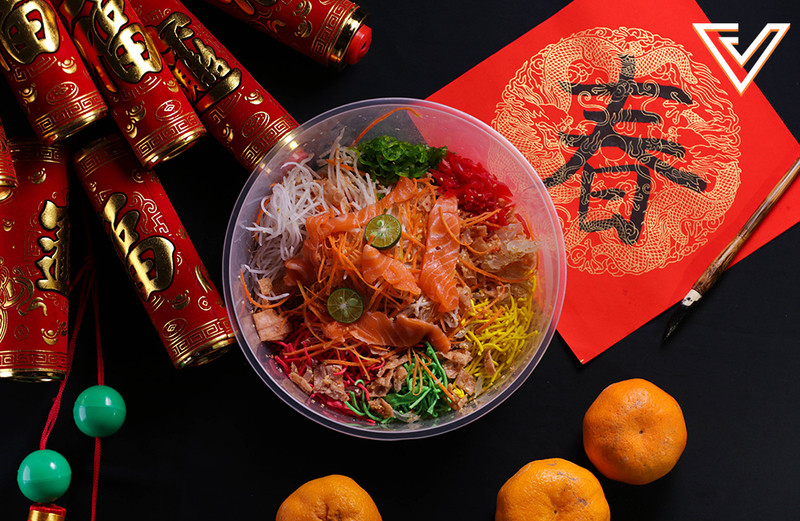 If your yee sang order is less than RM40, then you can use one of the free delivery vouchers in the Prosperity Pack. May your Chinese New Year be blessed with all the lou-ing you’ll be doing! 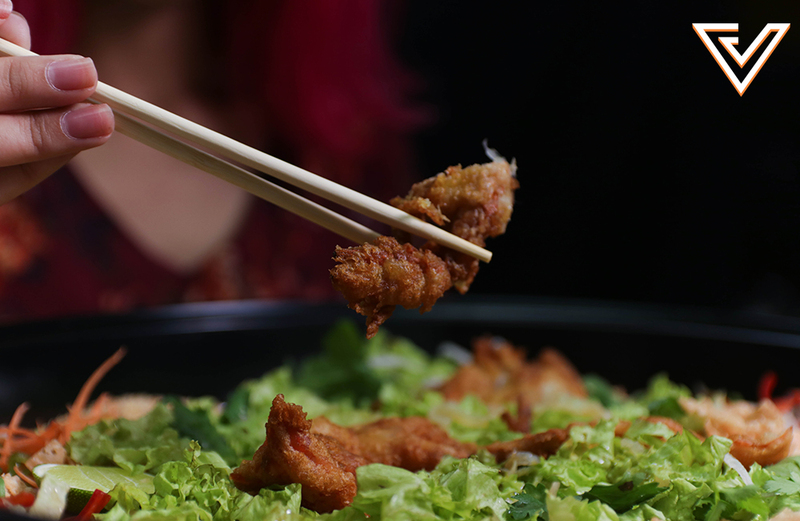 For more deals, you can head to the GrabFood app and check out their yee sang tab to see all the options around you.